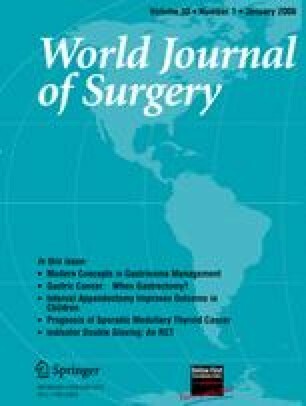 We previously demonstrated that for papillary microcarcinoma (PMC), (1) patients with lateral lymph node metastasis detected on preoperative ultrasonography (US) are more likely to develop recurrence, and (2) dissection of the lateral compartment does not improve the prognosis of patients without US-detectable lateral metastasis. In this study, we focused on metastasis from PMC to the central compartment. We investigated the clinical significance of lymph nodes in the central compartment using the same series of 600 patients as used in the previous study. Ultrasound-diagnosed central node metastasis could be found in 30 patients (20.0%). Although the specificity of US for detecting central node metastasis was 99.1%, sensitivity was only 10.9%. Neither US-diagnosed nor pathologically confirmed central node metastasis affected the disease-free survival (DFS) rate of PMC patients. Furthermore, in cases where PMC was located only in one lobe, central node dissection in the contralateral lobe did not improve the DFS rate. These findings suggest that, for PMC, (1) US is an insensitive technique for detecting the central node metastasis, (2) the presence of central node metastasis is unrelated to DFS of patients, and (3) when performing lobectomy for PMC involving only one lobe, dissection of the central compartment in the contralateral lobe is optional.